The key to a more productive office might just be moving away from that very thing: the office. Your workspace should make you feel comfortable enough to do your best work, even if that means sitting on the couch with your feet up. 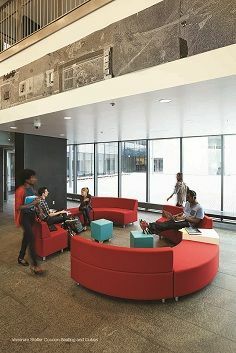 Communal spaces encourage employees to utilize breakout rooms to brainstorm new ideas in a fresh and open atmosphere away from the typical four walls of a cubical desk. 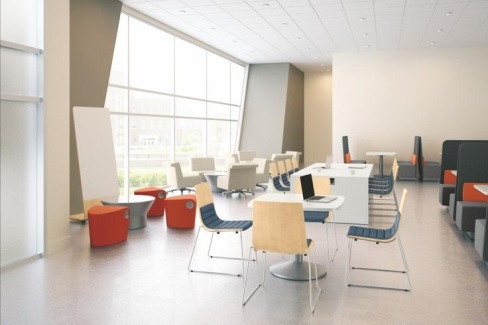 An alternate option is to add moveable furniture to the office to allow employees to pull up a chair or stool. 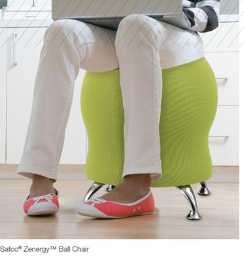 This helps promote impromptu meetings and thought sharing sessions while working with the current workstations or seating areas already established in your office. 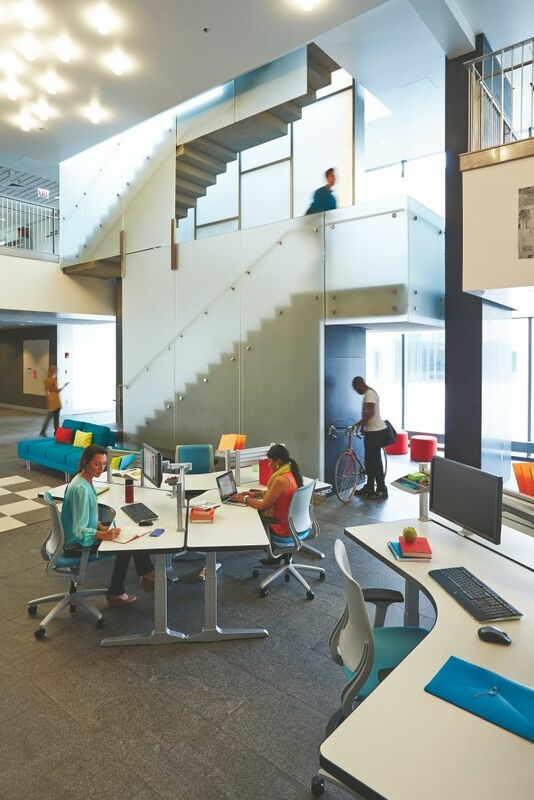 Business Interiors by Staples offers expert vision in creating workspaces that cater to every environment, including open concept office spaces to encourage employee collaboration. Learn more about how you can improve your current office workspace to promote employee to participation and productivity. Get started today, click here for more details. Are Poor Employee Ergonomics Costing Your Business?